Low friction semi-synthetic binding grease suitable for low temperatures and prolonged contact with plastic. 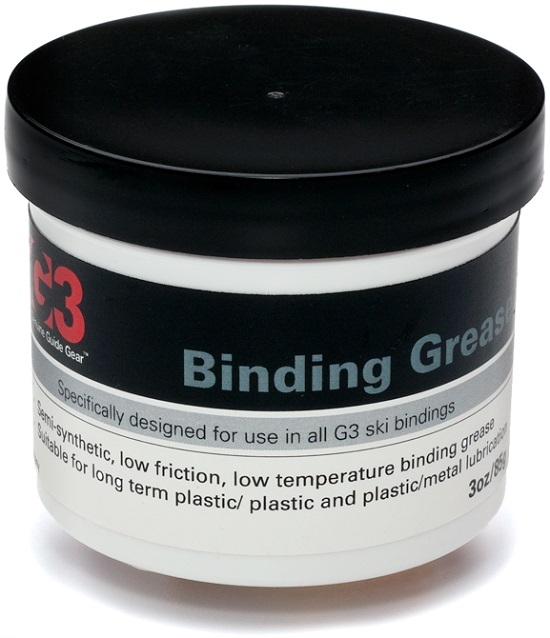 This is the grease G3 uses for it's ION bindings, but it is good stuff that can be used to lube other Dynafit-style bindings. Great for the inside of heel pieces where the turret sits on the baseplate pedestal.